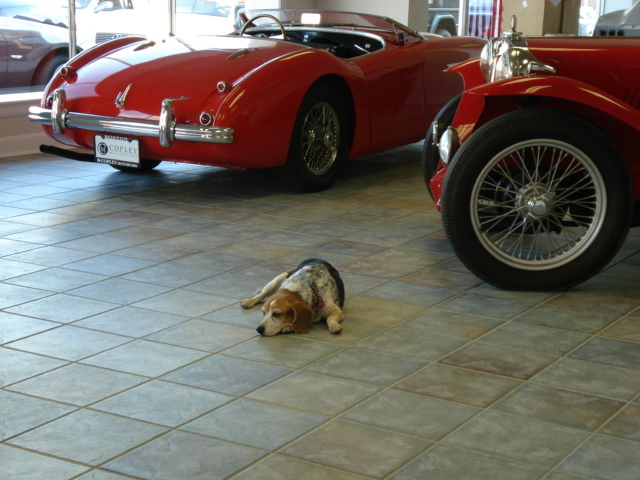 Many of you have met Buddy and Roise and many others have read about them over the years. 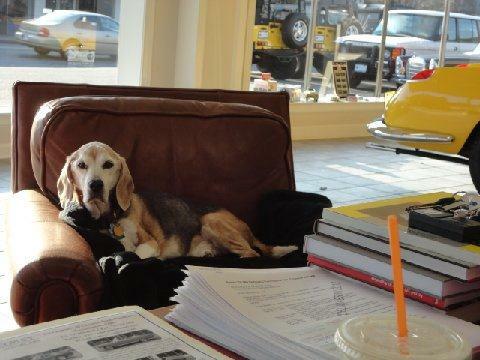 Rosie left us in 2009 at 16 years old and in the spring of 2012, Buddy did as well at 17 1/2. Both had great lives and brought us much laughter and joy. They are missed of course but you’ll see our little Daisy has joined us so look for her own button on the site and see what mischief she gets into. 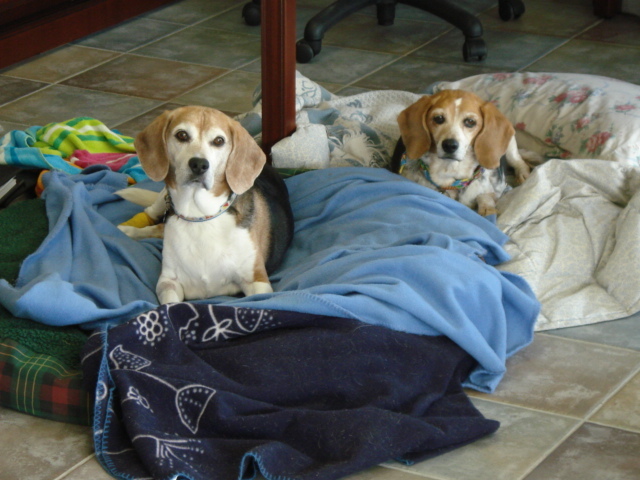 Buddy and Rosie are beagles and were adopted on March 14, 2000 from the Buddy Dog Humane Society in Sudbury, Massachusetts. 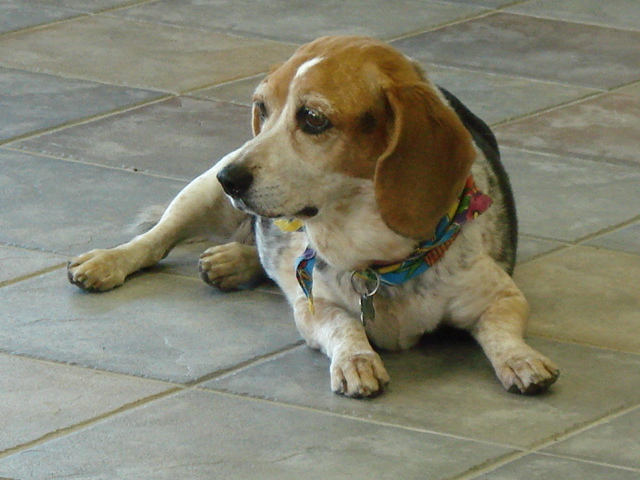 For some strange reason, Buddy and Rosie had been returned to the Buddy Dog shelter on three separate occasions, so this website is a tribute to them and their life of being shuffled around. Buddy is a 5 year old boy and is still very much a puppy. He loves life so much, every single minute is an adventure. From the time he wakes up in the morning, (sometimes at 4:00am) until the time he goes to bed at nite, he is constantly in motion. Not only hunting and sniffing his way around his backyard in motion, but his tail seems to never stop wagging. He is so happy, that we are often woken up to the sound of his tail’s thump, thump, thump. When he finally slows down, Buddy is a very affectionate and loving dog. Lots of licking and belly showing. 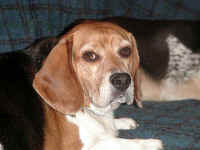 Rosie is an 8 year old girl who is a bit more mature than Buddy. She’s “been around” so she is not as excitable as her “brother” is. Rosie loves to take naps at our feet, but especially on our bed between the pillows. We were a bit worried about her just after she came home because she was so quite and reserved, almost sad. But one day, about a month after she was with us, her tail started to wag, and it hasn’t stopped since. 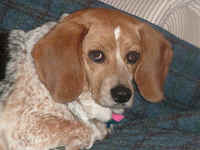 Rosie is a sweet, quiet and affectionate dog who keeps relaxing more and more everyday. years it’s obvious that they were overfed and under walked. Half that has changed as they are walked at least a couple of times a day. And if Buddy gets his way on the weekends, 3 or 4 times a day. When they are on their walk, Buddy’s main goal is to run and jump and just keep moving on the chance he’ll see a rabbit or a cat. Rosie on the other hand, is a very methodical walker. She must stop and sniff each and every inch of her path. Buddy and Rosie have their new owners wrapped around their little paws. 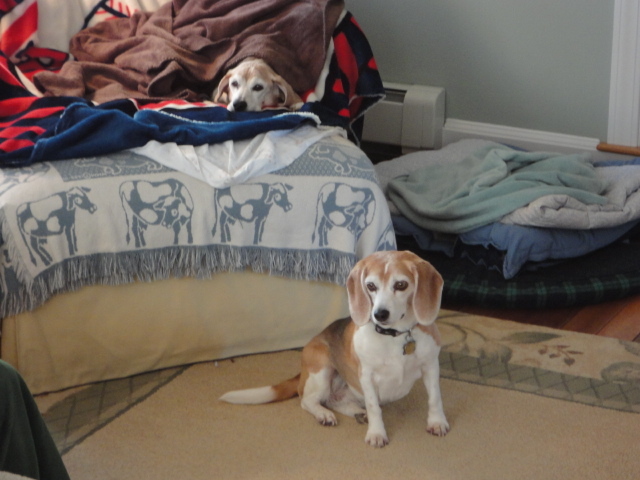 It only took them a week or so to train their new owners…whatever they want, they get… walks, cheese, treats, 5 doggie beds, use of all the furniture, a little vanilla ice cream, but most of all, lots of love, attention and affection. After the tumultuous life they have had, they deserve it. And the best part of the day is coming home from work and getting greeted by the “wiggle waggle.” The wiggle waggle happens when the tail is wagged so hard and so fast that the dog’s whole body moves uncontrollably from side to side and it is just the cutest thing to see. Thanks for stopping by to Buddy and Rosie’s website. We’ll update it with new pictures and stories from time to time.